Dr. Rodney Jackson is the leading expert on wild snow leopards and their high-mountain habitat. SLC has grown out of Rodney’s thirty years’ experience gained in working closely with rural herders and farmers whose lives are directly impacted when snow leopards prey upon their livestock.Upon receiving a 1981 Rolex Award for Enterprise, Rodney launched a pioneering radio-tracking study of snow leopards in the remote mountains of the Nepalese Himalaya. The four-year study led to the cover story in the June 1986 National Geographic. In addition, the June, 2008 issue of National Geographic featured Rodney’s work with the Snow Leopard Conservancy India. He has been a finalist for the Indianapolis Prize in 2008, 2010, 2012, 2016, and 2018 – the first to be nominated three times consecutively. The Indianapolis Prize is the world’s largest individual monetary award for animal conservation. Rodney prepared the snow leopard section of the IUCN-World Conservation Union’s Status Survey and Conservation Action Plan for Cats, which serves as a definitive document on the needs and opportunities for preservation of the earth’s remaining wild cats. 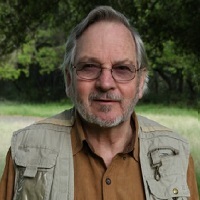 He currently sits on the IUCN’s Cat Specialist Core Group, and served from 2003 until 2008 on the Snow Leopard Network Steering Committee.Rodney led the standardization of snow leopard field survey methods across the twelve snow leopard host countries, the Snow Leopard Information Management System (SLIMS). Working with partner agencies, he trained biologists in these methods in nature reserves in China, Pakistan, Mongolia, Nepal, Bhutan, and India. SLIMS has since been superceded by advancements in technology for surveying snow leopard populations.Rodney’s publications include a comprehensive handbook on surveying snow leopard populations using camera traps published in 2006. You will find it on our site. The document represents the detailed results of over four years of systematic field research conducted in the harsh geographical and climatic conditions of the Himalaya and other parts of Central Asia. The handbook has been translated into Chinese and Russian. In addition, Rodney co-authored two papers on genetics; one published inAnimal Conservation in October 2008, (Read an abstract here) (or here), and another published in theJournal of Mammalogy in August 2011 (Read an abstract here).Rodney has written or co-written chapters in books including “Snow Leopards: Conflict and Conservation,” in Biology and Conservation of Wild Felids (Professor D. Macdonald and A. Loveridge, editors), Oxford University Press, UK 2010; “Snow leopards: is reintroduction the best option?” in The Reintroduction of Top-Order Predators, M. W. Hayward, and M. J. Somers, editors. Wiley-Blackwell, Oxford, UK.2009; and “Ghost Cat of the Himals”, in: Himalaya: Personal Stories of Grandeur, Challenge and Hope. Edited by R.C. Blum, E. Stone and B. Coburn. National Geographic Society and American Himalayan Foundation. Washington DC., 2006.Rodney also wrote the section on snow leopards and clouded leopards for the New Encyclopedia of Mammals, published by Oxford University Press, 2001; the Proceedings of the 8th International Snow Leopard Symposium, co-edited with A. Ahmad and published in 1997 by the International Snow Leopard Trust, Seattle and WWF-Pakistan; “Cats Up Close: Snow Leopards”, in Great Cats: Majestic Creatures of the Wild, Rodale Press, 1991; and popular articles for International Wildlife, Animal Kingdom, and Geo (France and Germany). Darla serves as the Snow Leopard Conservancy’s Education Director. She was fundraiser and logistical organizer for Rodney’s original Nepal radio-tracking study, bringing more than a decade of administrative experience to the role. She co-wrote the June 1986 National Geographic article, followed by the book, Vanishing Tracks: Four Years Among the Snow Leopards of Nepal.Darla is logistical facilitator for the Land of the Snow Leopard Network, and she works with Conservancy partners on Conservation Education for rural school children in the snow leopard countries.Darla was lead author for the chapter, “Environmental Education for Snow Leopard Conservation,” in the book, Snow Leopards, published in 2016, to launch the Elsevier Press series, Biodiversity of the World: Conservation from Genes to Landscapes. “On the Trail of Wild Snow Leopards,” one of two articles Darla has written for Highlights for Children, was chosen Science Feature of 1994. 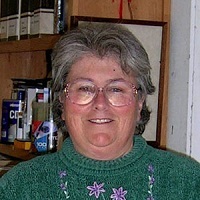 She has also written for Travelers’ Tales: San Francisco, and Bay Nature magazine. Joyce Robinson is the Conservancy’s Office Assistant. She retired in 2003 from a 30-year career with Bank of America. In 2004, she joined the Conservancy as a volunteer, scanning and entering data on our camera-trapped snow leopards. 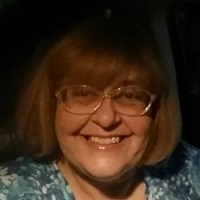 Today, as an integral member of the staff, Joyce divides her time between bookkeeping, electronic communications, GIS, and other program tasks and covers the headquarters office whenever Rodney and Darla are in the field. Shavaun Kidd is Social Media Manager, maintaining the Conservancy’s presence on a variety of platforms. She is responsible for the Conservancy’s online newsletter publication and the News Section of the website. In addition, she handles online fund-raising sales and has overseen production of Conservancy eco-friendly apparel.Shavaun also serves as Outreach Conservation Educator, speaking to a variety of audiences about snow leopard conservation and responding to student inquiries. She began with the Conservancy in 2014 as an Education Intern while completing her Master’s degree which centered around a post-BA certificate program in Zoo & Aquarium Studies. Her focus was on Conservation Education and Anthrozoology, the study of relationships and interactions between human and non-human animals. As part of her graduate work at Western Illinois University, she conducted anthrozoological research, examining the motivations for choosing animal companions from shelters. And as an intern for the Conservancy, she developed a mulit-age snow leopard conservation education program. Shavaun previously received Bachelor’s degrees in Music and Elementary Education and Biology from Augustana College, Rock Island, Illinois.Shavaun was a docent for Niabi Zoo for 17 years where she was program developer and coordinator/advisor of the Junior Zookeeper program for 8 years. In addition, she worked for the Nashville Zoo as an instructor in their summer camp program in 2012. In the 1990s, Shavaun owned and operated a pet supply and gift shop. And she was a medical transcriptionist and editor in medical and radiation oncology for more than 20 years. Shavaun continues to periodically serve as a guest science teacher at the intermediate and high school grade levels. And on occasion, she is a guest lecturer for anthrozoological graduate classes at WIU. Shavaun has had an enduring passion for wildlife conservation and she says that being part of the Snow Leopard Conservancy and having an opportunity to make a difference is a dream come true. Charleen Gavette serves as Program Officer, responsible for day-to-day oversight of the Conservancy’s field programs, capacity-building, and reporting. 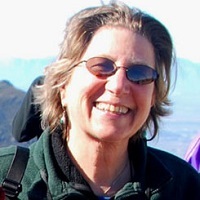 Charleen has been a long-time Conservancy volunteer, assisting with GIS modeling of potential snow leopard habitat and migratory corridors and creating maps for presentations. She has also been a key volunteer in our “Land of the Snow Leopard” project, attending workshops in Mongolia and Kyrgyzstan and leading the development of special computer apps. She will continue these activities as a Conservancy staffer.Charleen was a Registered Nurse when she worked in the UCSF Medical Center’s Neurosurgical Intensive Care Unit. Her second career as a specialist in Geographic Information Systems (GIS) led her to the US National Oceanic and Atmospheric Administration’s National Marine Fisheries Service. For the past 15 years the focus of her work has been on endangered and threatened salmon and steelhead.During the Ebola epidemic, Charleen spent a month in Liberia, as a GIS volunteer contractor for the World Health Organization, helping to map and improve facilities for training of medical personnel. Brian Peniston is the Program Manager overseeing the (United Kingdom) Darwin Initiative Grant awarded to SLC for snow leopard and biodiversity conservation in Nepal. Brian has extensive experience both nationally and internationally managing diverse programs, especially in the Himalayan region. He served as the regional director for The Mountain Institute (TMI) for over 17 years, directing its Himalaya Program, and managed the Makalu Barun National Park Project, aimed at strengthening local participation in biodiversity conservation. Brian is skilled in many disciplines, including community engagement, rural enterprises, conservation/natural resource management, community development, and cultural restoration. He spent 24 years in Nepal with TMI and is fluent in Nepali.Brian is responsible for managing the two year, nine month Darwin Initiative Grant “Sustaining snow leopard conservation through strengthened local institutions and enterprises,” a joint collaboration between Mountain Spirit, TMI, Global Primate Network, ENNOVENT, National Trust for Nature Conservation/Annapurna Conservation Area Project and local communities in the Manang and Mt. 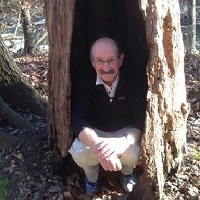 Everest Regions.Brian has a Masters degree in Forestry (Yale University) and Public Health (University of Hawaii) and an undergraduate degree in Philosophy (Connecticut College).